Agios Nikolaos is a famous coastal town lying east of the island's capital of Heraklion Crete, an international and cosmopolitan resort, welcoming thousands of visitors. The charming lake is always an enjoyable experience while the tavernas nearby the harbour serving traditional Cretan food (Greek 'meze') are a must to visit. 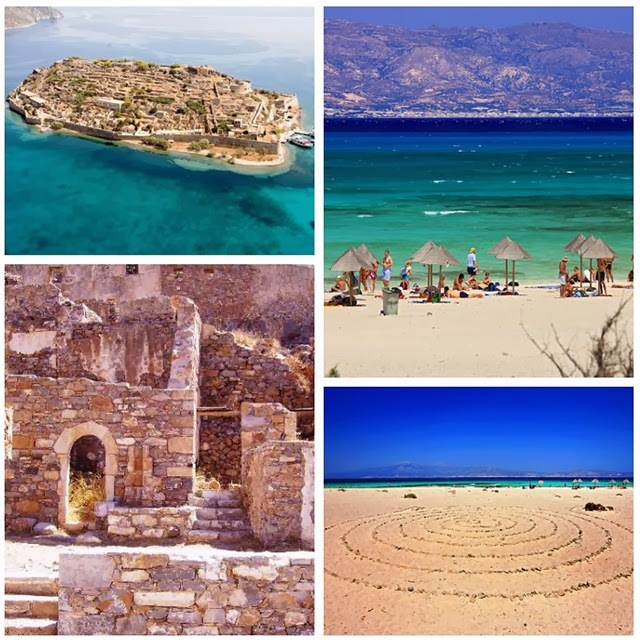 From Agios Nikolaos harbour you can explore Spinalonga mystery island a full day. This may be a full day cruise combined with Elounda village. On this tour you will have the opportunity to admire the sandy and rocky beaches around the Mirabello gulf while sailing close by the coasts. Enjoy your time at Elounda village where you can have your lunch and do some shopping. This fishermen's village will transport you to another era. Returning back to Agios Nikolaos do not omit to have a stop for swimming in Kolokitha beach; a beautiful a sandy beach between Spinalonga and Elounda. Agios Nikolaos offers many options to select if you have some time and days to spend. Chrissi Island is one of them that you have to visit. An exotic natural landscape is waiting for you; the turqouise waters and the golden sand will absolutely calm and relax your spirit. Chrissi Island is ideal for day-dreaming, swimming and trekking so if you are an adventurous guy you will enjoy this exotic but natural landscape. Join some full days from Agios Nikolaos harbour to visit and discover new and interesting places of the true Crete.